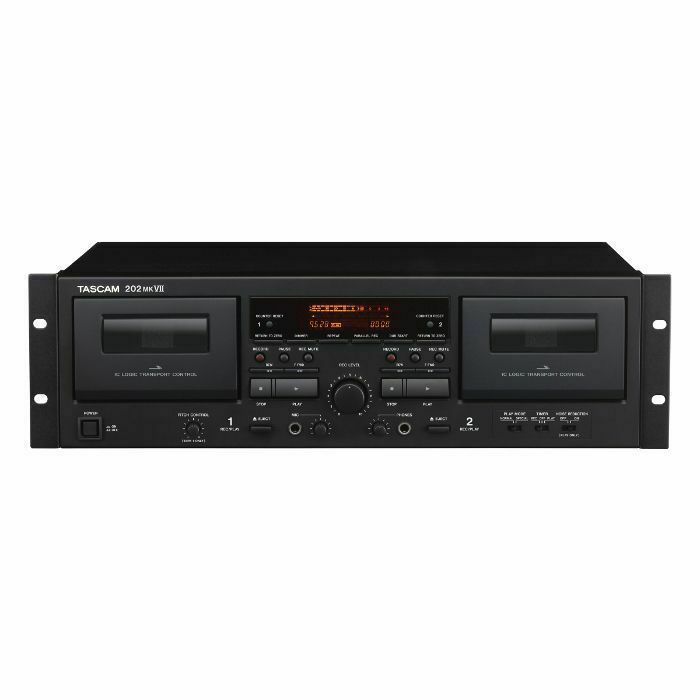 TASCAM Tascam 202 MKVII Dual Deck Cassette Player & Recorder With USB vinyl at Juno Records. TASCAM's new 202mkVII dual cassette deck is the latest generation of the company's professional cassette recorders. Coveted for their reliable performance, comprehensive feature set, and audio quality, the 202 series has long been the leading choice for recording studios, houses of worship, audio/music enthusiasts, and other professional applications. The 202mkVII's most noteworthy new feature is a rear-panel USB output that enables recording and archiving cassettes to digital media. A front-panel 1/4-inch, high-impedance microphone input with dedicated level control enables live input to be mixed with Tape 1 audio and recorded, in real time, to Tape 2 for karaoke and voiceover applications. The mic input also can accept line-level signals. 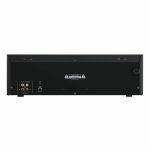 In addition to the USB output, the rear panel provides stereo analogue line-level input and output on unbalanced RCA connectors. A 1/4-inch stereo headphone output with dedicated level knob is conveniently located on the front of the unit. 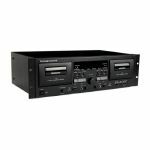 The dual twin-head cassette decks can record and play back independently, including recording simultaneously to create two tapes with the same source. 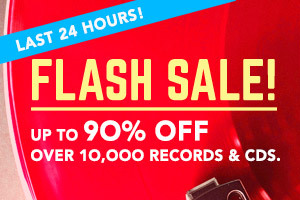 Among other applications, this enables simultaneous creation of a master tape and a copy for distribution, skipping the need to duplicate the master tape. 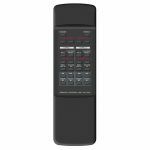 The two decks also provide real-time dubbing at the touch of one button. Tape 1 offers pitch control (+/-12%) and Tape 2 has a Return to Zero function. The TASCAM 202mkVII offers two playback modes. Normal playback, as expected, routes sound to the line outputs and headphone output. In Special playback mode, you can monitor the sound from one tape using headphones, while the other tape plays through the line outputs, making it easy to cue another tape. A noise-reduction feature (the equivalent of Dolby B) reduces hiss during playback. 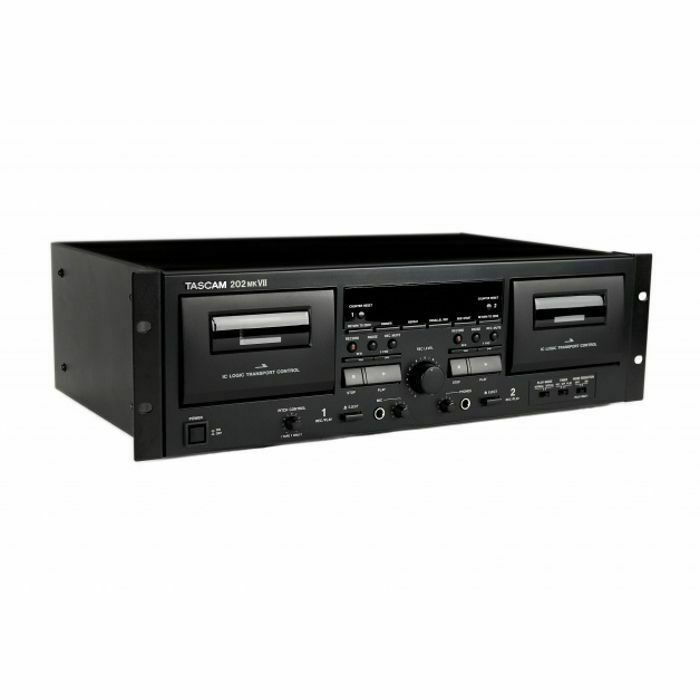 The 3U rack-mountable, professional tape deck supports recording and playback of Type I (normal) and Type II (chrome) cassette tapes, as well as playback with Type IV (metal) tapes. 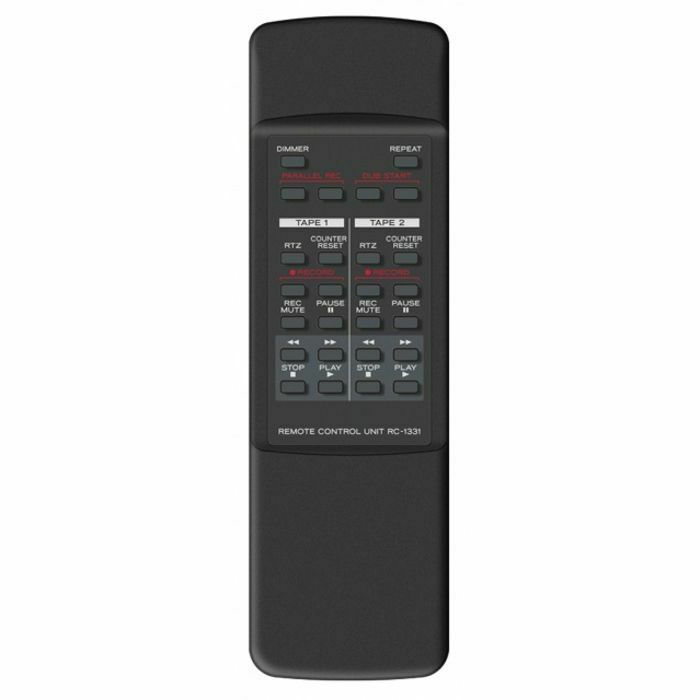 A dedicated wireless remote control is included.